In the grand scheme of things, Betfair Bingo is a relative newcomer to the Bingoing world. Around for less than 5 years, Betfair Bingo have already undergone a major overhaul, and it works. A bright and bubbly looking site that will appeal to the average Bingo goer, but Betfair has one small issue. 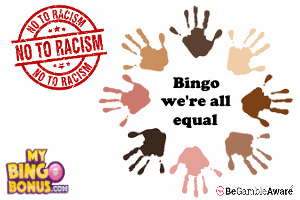 It’s a Bingo site within a Gambling portal, rather than just a Bingo site. In other words, the Bingo at Betfair is an addition to the usual Betting portal that Betfair is famous for. Normally we’d hand out warnings at this point, but Betfair have done this very well indeed. At no point do you feel like the poor relative. In short, Bingo at Betfair is really good. 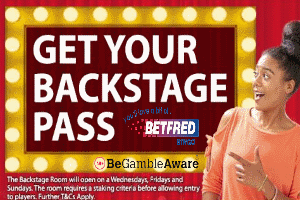 Plenty of games, loads of pots and prizes and a wealth of promotions. All in all a very comfortable place to hang your hat. In addition to this, their “one wallet” system is near perfect. As a Betfair Bingo player, you automatically get access to their Betting sites, Poker site, Casino and Virtual Sports. One Wallet, one player account and one massive slice of fun. Is it perfect? No, but a brilliant none the less, backed by an even better Bookies. Would we recommend? YES, great entertainment that never seems to get end. Betfair Bingo is a cool enough site to make our top ten list. In fact the only reason it doesn’t get 10 out of 10 is down to the fact that there’s no reload bonus available. That said, it’s a place that comes from great gambling stock, and they like players to experience everything that they have. 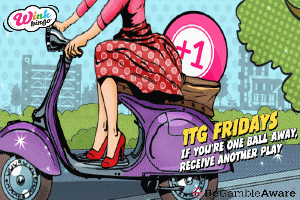 There is a mild chance that once you’ve registered, their vast promotions becomes too much of a temptation and that Bingo becomes less interesting, but that’s no bad thing with a site like Betfair. The Free games are available to all players, so if you have an account (funded) you’ll be eligible to play. The Free play games usually come in the form of a Bonus game, or a special that you as a player will be invited to. There is no such thing as a free supper, and at Betfair you need to know what you are accepting when you take your bonus funds. Likewise, you need to know what and when you can withdraw your winnings. Full details will be in their Terms & Condition’s on the bottom of their homepage. Maximum withdrawal amount: £1,000,000 maximum single withdrawal.